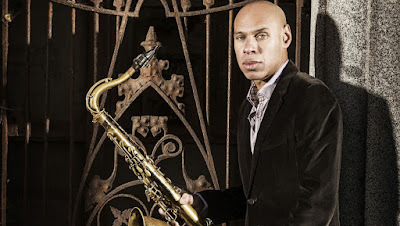 Joshua Redman is scheduled to play the RNCM in Manchester on 4th August, his sole UK date. World-renowned saxophonist Joshua Redman’s new group, the Still Dreaming quartet, features three of the most imaginative voices in contemporary jazz. Together they’ll interpret Old and New Dreams a renowned 1970/80s band of Ornette Coleman alumni that included Joshua’s father, Dewey Redman, along with Don Cherry, Charlie Haden and Ed Blackwell. Their repertoire of Coleman compositions and original works was honest, uninhibited and engagingly unpredictable. With his all-star group, Joshua fulfils his birthright, explores his heritage and adds a new perspective to this historic material. The close personal connection will make this UK debut an especially memorable performance. He will be joined by three incredible jazz heavyweights - Scott Colley, Ron Miles and Brian Blade. Tickets cost £25 and there are no concessions available. This is sure to sell out so book quickly! Visit the RNCM website to book tickets.